Just as the name suggests, Hotel Laguna Gran Vista offers beautiful views over the popular Zelena Laguna Bay with its many beaches, lush pine forests, lovely seafront promenade and romantic sunsets. 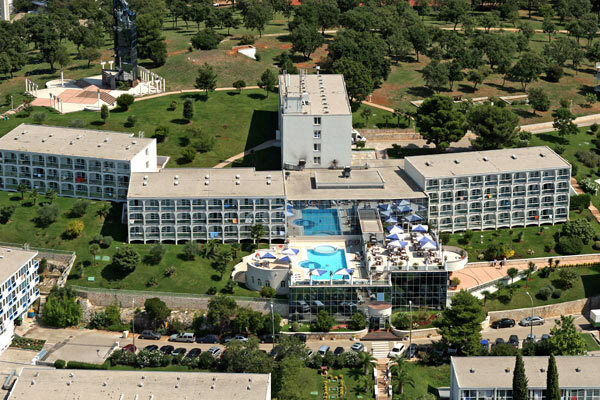 Located just 5km south from the charming historical town of Porec, guest can experience and interesting combination of sun, sea, entertainment and culture. The Zelena Laguna Bay is home to several hotels, such as Hotel Parentium, and offers a variety of (water) sports activities including tennis, mini golf, volleyball, football, water skiing, sailing, windsurfing, canoeing and scuba diving. There are many restaurants, bars, shops and pools, making it a perfect holiday destination for families but also for sports and nature lovers and those who just wish to relax and enjoy the sun and the sea. The crystal clear sea and the clean beaches have earned the Zelena Laguna Bay the Blue Flag, an international award for top quality beaches. If you bring your snorkel and mask you will discover lots of marine life just a few meters from the shore. Despite the presence of hotels and camps, there are still a lot of natural, quiet beaches to be found surrounded with pine trees which provide shade. There is also specially reserved beach for naturists. Porec has a rich history that dates back to Roman times and you can still see the influence from ancient times in the cobblestone streets surrounded by centuries old houses, palaces and historical monuments. The highlight of the town is the Basilica of St Euphrasius, a UNESCO World Heritage Site, with beautiful mosaics and a stunning view over the town and the sea from its bell tower. During the summer season there is a special boat and a bus that travel from the Zelena Laguna Bay to Porec each hour and a tourist train that runs every 30min. Hotel Laguna Gran Vista offers 170 rooms with air conditioning, telephone, satellite TV, a small basic bathroom with a shower and hairdryer. A fridge is available at an additional charge. Rooms are either sea side or park side. Not all rooms have a balcony. 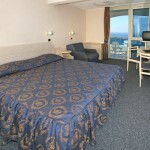 Suites with a bedroom and living room are also available. The air conditioned restaurant offers a breakfast and dinner buffet. Guests who book half board are offered unlimited free drinks with dinner. 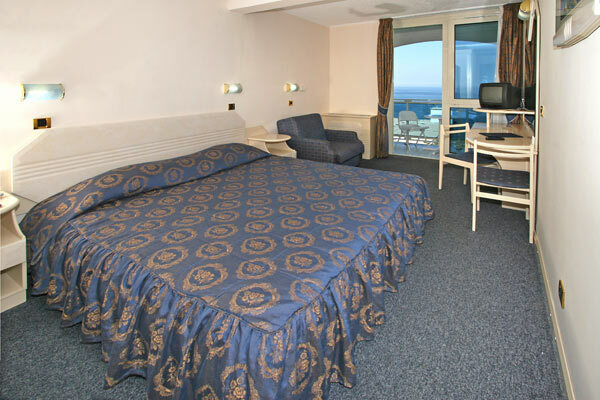 The hotel has a bar and a TV room; there is WiFi internet access in the reception area (additional charge), an exchange office and a safe can be rented at the reception. Surveillance car parking is also available at an additional charge.There is an outdoor fresh water pool located on a roof area of the hotel, offering a lovely sea view. 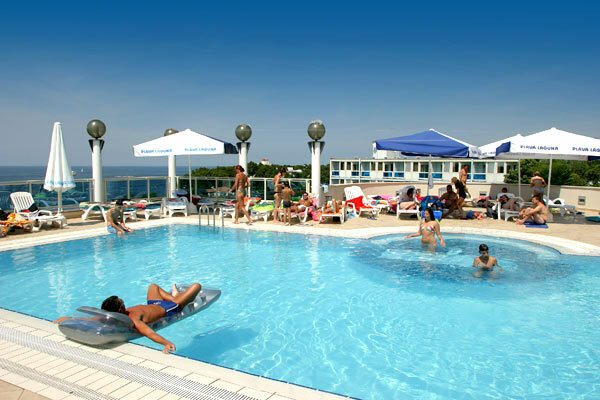 There are also sun beds, umbrellas and a special children’s pool. A children’s playground can be found nearby. 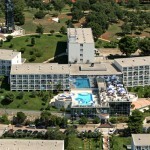 In the adjacent Hotel Plavi children can enjoy the mini club and mini disco. 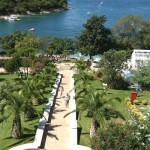 For the adults there are morning gym sessions, aqua aerobics and sports tournaments. 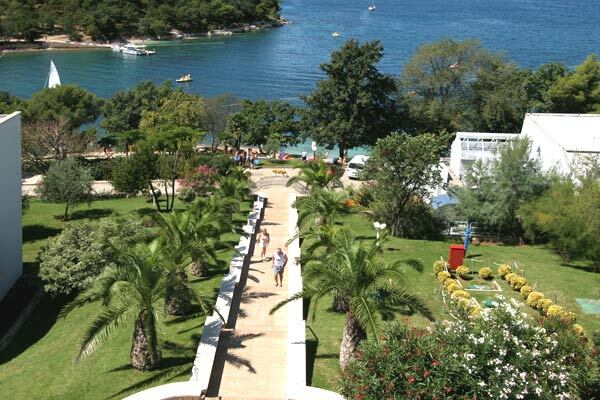 In the evening you can enjoy a drink while listening to live music or you can visit the nearby Hotel Plavi for a show. The hotel is not suitable for less mobile people due to the many steps.